Get the Wood-Fired Oven's Version of a Ferrari! Get the Wood-Fired Oven’s Version of a Ferrari! With Ferrari engines roaring to the front of F1 grids again and young Leclerc making headlines, Valoriani UK is urging Brits to put the same emphasis on speed when it comes to their wood-fired oven, if they do not want their al fresco entertaining to be a drag. Valoriani UK says many wood-fired ovens can be a complete let-down, once called into action. This is due to slow speeds of heat-up caused by cheap, unfit-for-purpose materials used in their construction and the poor heat retention of the wood-fired oven, for the same reason. Whilst the Valoriani domestic starter oven – the Fornino 60 – can go from 0 to 300°C in 30 minutes, many cheap ovens will take hours to get up and running at the required temperature, leaving those entertaining with the choice of either getting up super-early to light the wood oven, or frustrating guests by keeping them waiting for their food. It all comes down to that principle of you get what you pay for and, if you buy cheap, you may find your oven on the scrap-heap after just one summer. 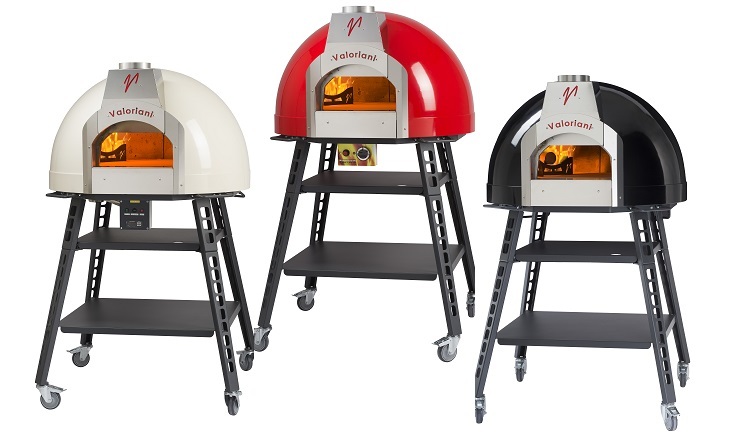 Low-cost pizza ovens are typically constructed from cement, whist other ovens on the market often have metal mesh or pieces inserted into that cement, to try to assist heat up. The problem is that, as any pupil studying science will tell you, metal contracts and expands and this causes the cement to crack and crumble. If you don’t fancy a ‘four seasons’ with added cement, think carefully about what you are buying. Valoriani ovens are constructed not just of refractory clay, but the best refractory clay available, with just the right alumina content for perfect firing and heat retention. A Valoriani ‘Fornino’ baby wood-fired oven has a 3cm clay floor and dome, hence the 0 to 300°C in 30-minutes performance level. They also – unlike many cheap wood-fired ovens – have insulation top and bottom, to ensure that once shooting ‘down the circuit’ they do not carry a safety hazard or lose ‘power’ before the chequered flag is waved on your pizza party. Buy a Ferrari of an oven this spring and enjoy it for well over 10 years. It will be the star in your garage for many summers to come. Opt for a cheapie and it really will be the pits, as well as constantly having to take a pit-stop. Give Dad a New ‘Baby’ For Father’s Day!